All the rich flavors and exquisite dishes of India are now accessible to homecooks everywhere. My Indian Cookbook is a relaxed, present-day spice journey that has a confident and fresh approach towards cooking with ease. It allows your taste buds to be taken on a journey where the myths are exposed and the message simplified, so that you can be a master of your own spice kitchen. My Indian Cookbook is a primer, refresher and introduction to Indian cuisine with a sensibility for hectic schedules. It brings Indian cookery up-to-date and will provide you with the basics and inspiration to forge your own path and try something new. You don’t need to re-create huge opulent feasts. You can make one dish to add to the rest of the meal or dip in and out of the book as the mood suits you. Pantry stapes, a must-have spice list, alternative ingredients, step-by-step illustrations for tricky techniques, and a menu planner accompany an exquisite yet easy-to-follow recipe collection. Light bites: carrot and chickpea pancakes, fish fritters, coriander and chili crab balls, sesame and ginger skewers, and more. Pickles and chutneys: cucumber, carrot and mint chutney, South Indian eggplant pickle, fruit chutney, apple pickle. Desserts and drinks: pistachio kulfi, almond and saffron cake, creamy honey and raisin vermicelli pots, masala chai, chili hot chocolate. This comprehensive book is a modern and familiar collection of accessible recipes that should be shared over and over again to inspire friends and family. 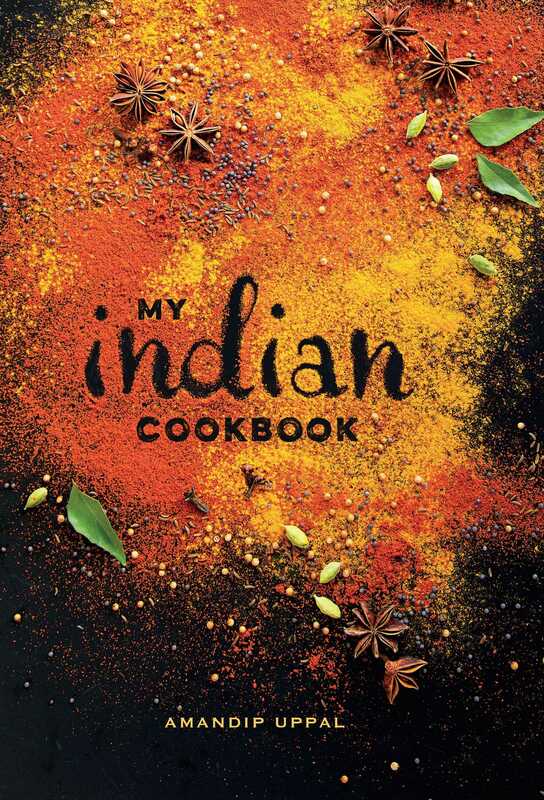 Whether you’ve never had Indian food or want to make your favorite dishes at home, this is the perfect cookbook. 1.In a bowl, toss the mangoes with 1 ½ teaspoon salt and the chilli powder. Leave to stand for 15 minutes. 2.Heat the oil in a large frying pan or wok over a low-medium heat. Add the panch phoran and stir-fry for 25 seconds. 3.Next, add the chilli-coated mango cubes, toss and cook for 6-8 minutes, then add the lime zest, juice and salt to taste. Cover with a lid and cook for 5-7 minutes. 4.Add the sugar, salt and cook, uncovered, until any liquid has evaporated and the mangoes are tender and not mushy.